What Does the P0123 Code Mean? The P0123 code indicates a problem with the throttle/pedal position sensor. When the engine control module (ECM) detects that the throttle position sensor’s output voltage rating is exceeding the manufacturer specification, it generates the P0123 trouble code. 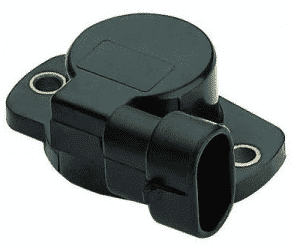 The throttle position sensor is just another name for a potentiometer and it is located on the throttle body while the pedal position sensor is associated with the accelerator pedal system. The throttle position sensor detects the movement of the accelerator pedal and based on the signal, the PCM determines how much power the engine requires. The P0123 code is triggered when the TPS switch voltage value is not within the specified range. Here are some of the common symptoms associated with the P0123 trouble code. Here are some of the reasons why the P0123 trouble code generates. How to Diagnose the P0123 Code? An OBD2 scanner is an exceptional tool to scan and monitor the trouble codes. The onboard diagnostic system is included in every car produced after 1996 and this standardized system is used for self-diagnostic and reporting. The OBD2 scanner has the ability to read and clear the codes as well as provide live data and record information. Alternatively, you can use a digital multimeter which is cheaper, however, it lacks the functionality which is found in the OBD2 scanner. Before replacing the sensor or carrying out other procedure, it is a good idea to check the wiring harness that leads to the throttle position sensor (TPS). Inspect the wiring and notice for any signs of damage or corrosion. Visually inspect the throttle body and see if it is dirty or contaminated. If it is, in fact, dirty, use a throttle body cleaner which can be found easily at any auto store or even eBay and Amazon. After cleaning the throttle, reset the code and see if the problem comes back again. Using a multimeter, test the ground voltage. Connect the red multimeter lead to the positive terminal of the battery and the black lead to the ground. If you notice that the reading is close to the battery voltage, then the ground is good. However, if not, there might be a problem with the power supply. On visual inspection, if you don’t find anything wrong with the throttle position sensor, it is time to test the voltage at the sensor. Set the digital multimeter to volt setting and study the vehicle wiring diagram to know which wire leads to where. Insert the black pin into the signal wire pin of the connector and the other pin to the ground. Open the throttle valve slowly and notice the reading. The voltage should increase as the throttle valve opens and with a wide open throttle, the ideal reading is 4.5 volts. At the idle position, the reading should be 0.45 volts. Start the car and let the engine idle for a few minutes. This will heat the internal components of the engine and some of the dirt will loosen itself. Once the engine is heated, open the car’s hood and locate the throttle position sensor. You might have to remove the engine cover to look for the sensor. Disconnect all the wiring and connections leading to TPS to avoid getting an electric shock. Next, remove the nuts and bolts securing the TPS and gently remove it from its place. Clean the sensor using a cleaning solution but ensure that you do not clean the actual sensor with anything liquid. Clean thoroughly around the sensor until all dirt is removed. Once the sensor is cleaned, use a dry cloth and gently rub to remove any liquid residue. Then connect the sensor back in its place, close the hood and you are good to go. Should I Repair the P0123 Trouble Code Right Away? The P0123 code causes drivability issues and disrupts the engine’s performance and acceleration. If the problem is ignored for too long, the ECM goes into the failsafe mode and at some time the vehicle may stop completely. This is why we recommend that you get the P0123 trouble code fixed right away. If you have any further questions related to the P0123 trouble code or the throttle position sensor, just comment below and we will try to help you at. Do mention your vehicle’s model and make along with the symptoms you are facing so we can provide a solution depending on the problem.